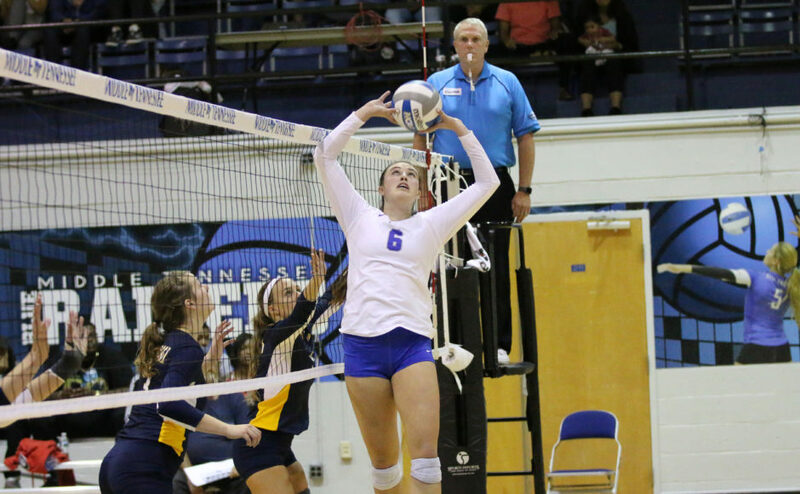 The Middle Tennessee Blue Raider volleyball team (3-8) finished the Comfort Inn-vitational in victorious fashion on Saturday, as they defeated host school Morehead State three sets to one. 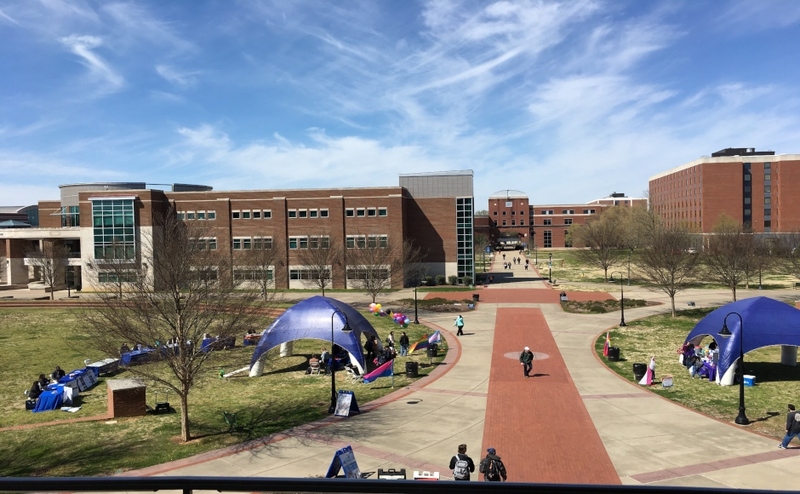 The win on Saturday is the third straight for the Blue Raiders and marks the first pre-season tournament sweep in seven seasons, as they went a perfect three-for-three in the last two days. The victory against Morehead State was a total team effort, as Dora Peonia led the way with a career-high 18 kills and eight digs. While she had a great weekend at the tournament, she recognizes that the team made major strides on improving the culture of the program. “I feel like we took a big step forward,” said Peonia after her breakout performance against Morehead State. Regan Coughlin had another solid game with a double-double, recording 10 kills and 11 digs, while Sloan Sullivan pitched in with seven digs. Both Coughlin and Sullivan were named to the all-tournament team for their performances over the past three games this weekend. Two more players really stood out on Saturday and were huge keys to victory, as Makila York and Taylor Hammill both played major roles in the victory. York stepped up in a big way and finished second behind only Peonia for the team-lead in kills with 14. Hammill topped her season-high for assists in a game by dropping 46 assists, her third straight game of 34 or more. The incredible performance was well-noticed, as Hammill was awarded tournament MVP for her efforts. After starting the season 0-8, the man in charge is starting to see a new energy around his team. Crawford made changing of the culture around the program a main focus of his since he took over as head coach and it certainly seems to have a huge impact on this team after their slow start to the season. The Blue Raiders look to continue this winning streak as they venture up north to Moon, Pennsylvania to take on Robert Morris, Rutgers and Penn to round off the non-conference schedule.